Kyle Eastmond didn’t make it into the latest Opta Team of the Week, but there was plenty of love for him on BT Sport’s Rugby Tonight show. It was a timely endorsement of the Bath centre’s talents ahead of the EPS announcement on 22 October. Some very good players are going to miss out on England selection and Eastmond finds himself not only competing against a battery of strong (and bigger) midfield contenders but also trying to shrug off the baggage of England’s previous outing in Hamilton, when he was replaced at half-time after the All Blacks made seven line breaks and scored four tries. It would be a travesty if Eastmond was discarded on the basis of that ropey 40 minutes, not least because the gaps that appeared in the English midfield owed more to a collective failure, with New Zealand’s ‘catch-and-drive’ sucking in loose forwards and exposing backs to one-on-one tackles. 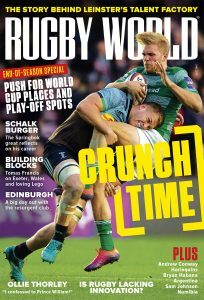 Better by far to remember the first Test of that series, when Eastmond showed the speed of foot, speed of hand and, above all, speed of thought that few in world rugby currently possess. 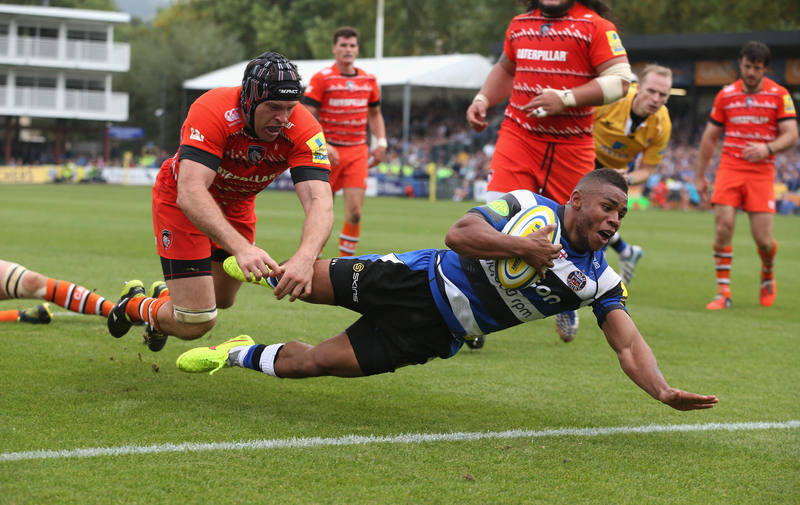 Eastmond’s footwork in traffic against Northampton Saints last weekend, followed by a perfectly weighted pass, was rightly lauded – see the clip below. But we’d seen similar skill on the Test stage last June in Auckland, when he stepped inside both Ma’a Nonu and Aaron Cruden within five strides. In that same match he showed his touch on the pass when putting Manu Tuilagi between the All Black centres, and his ability to play first receiver was also demonstrated, such as when he filled in on the blind side and put Israel Dagg under pressure with a well-judged kick. Eastmond’s ‘unseen’ work was also of the highest order: he forced a turnover scrum with a choke tackle on Dagg, created another turnover when anticipating the wrap-around and enveloping Conrad Smith, and took advantage of his small stature (5ft 7in) to get low over the ball at the ruck. He even cleaned out Richie McCaw. Such details matter hugely, of course, because World Cups are always won by fine margins. So, should Eastmond be starting for England? If only there was an easy answer. It’s unthinkable that Tuilagi won’t fill one of the berths. But with Billy Twelvetrees proving inconsistent in his dozen starts, and a Tuilagi-Luther Burrell pairing unlikely to provide enough finesse, Eastmond’s chances of reprising his Auckland partnership with Tuilagi are not to be sniffed at. A Tuilagi-Jonathan Joseph axis, as tried twice in South Africa and with Tuilagi playing at 12, would surely flounder on the back of Tuilagi’s limited distribution skills. Brad Barritt has started exactly half of Stuart Lancaster’s 30 Tests but might be regarded as a retrogressive selection. 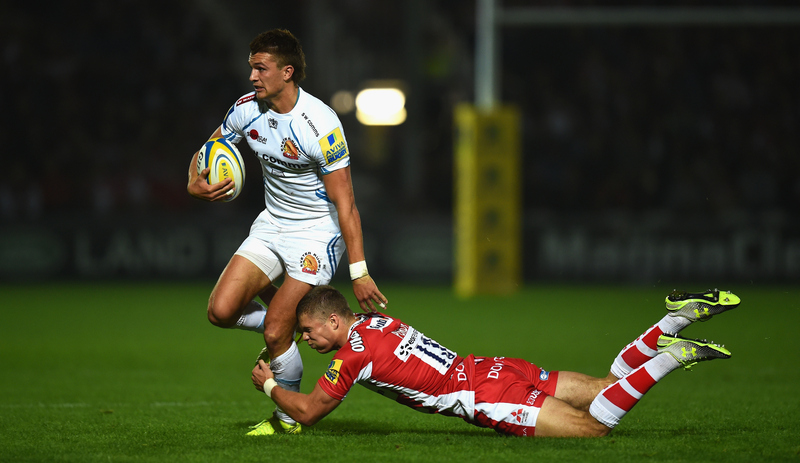 There are two potential bolters, Henry Slade and the soon-to-arrive Sam Burgess. Of the two, Slade is the likelier choice; he has a cool head, passes beautifully off both hands, and can defend solidly if unspectacularly. He kicks exquisitely from hand and off the tee, and offers a left-foot kicking option – not to be underestimated. On current progress, he’s a shoo-in for England at Japan 2019 but is England 2015 too soon for him? Josh Lewsey and Trevor Woodman broke into England’s 2003 World Cup-winning team late in the day, but they played at full-back and prop. The current England is still deciding on a fundamental – are we going to smash the door down or unpick the lock? Naturally, the best teams can do both, and in Eastmond England have a player whose trickery would complement a more physical ball-carrier outside him. The 25-year-old Lancastrian has three club games – against Saracens, Wasps and Glasgow Warriors – in which to book his slot in the EPS. England then have 12 Tests to fine-tune their team by the World Cup, starting next month when the Big Three and Samoa visit Twickenham. They should ensure Eastmond is part of the ride.